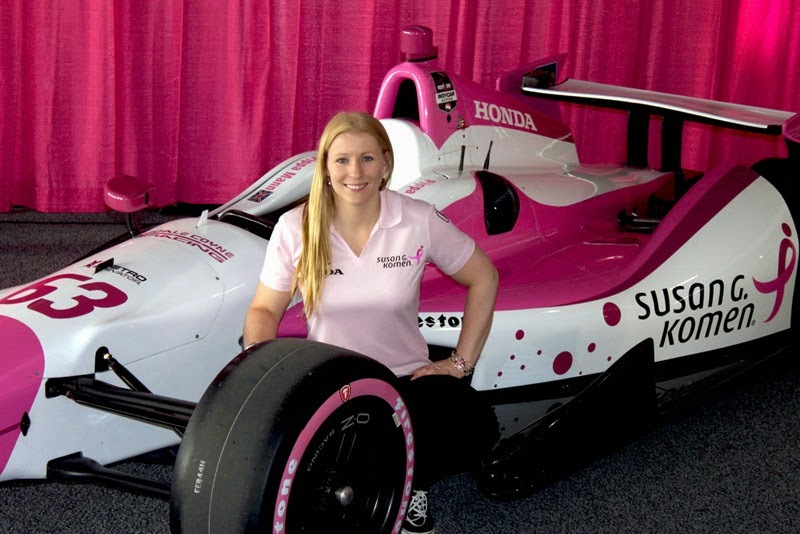 Pippa Mann announced today at an Indianapolis Motor Speedway press conference a partnership with Susan G. Komen for the 98th running of the Indianapolis 500. The world's largest breast cancer organization, providing $2.5 billion in funding for research, screening, education and treatment since 1982, Susan G. Komen's famous pink colors don Pippa's No. 63 Honda-powered DW-12 as she attempts to qualify for her 3rd Indianapolis 500. Fans can donate at RaceWithPippa.com.